While modern manufacturing practices and techniques such as predictive maintenance have helped make premature bearing failure a rare occurrence. However, it can still happen and when it does it can have a catastrophic effect. Worryingly, some of the bearings that have failed were nowhere near the end of their calculated lifespan and may only have operated for 5-10% of their rated life. This is a source of great concern and expense to customers, who should be able to expect their bearings to last for their stated lifetimes at the minimum. Wind turbine gearboxes are among the applications that have been shown to be more prone to early bearing failure than others. When this happens it is important to diagnose the failure without delay and correct it. However, there has been plenty of debate over the exact causes of early bearing failure. One common feature of premature bearing failures is a network of small, white decorated cracks below the surface of the bearing — so-called "white etching cracks" (WECs), or small axial cracks visible at the raceway surface (see right). It would seem sensible to assume these are the cause of the problem, as they are seen in most cases of premature failure. However, an extensive, four-year research project carried out by SKF has shown that these cracks actually occur at the end of the failure chain and are a natural consequence of crack networks in prematurely failed bearings. The researchers concluded that WECs are only a visible symptom of the failure, rather than part of the underlying cause. SKF has so far identified seven mechanisms that cause premature bearing failure, leading to one common result: shorter bearing life as well as the appearance of WECs. As a consequence, it has developed a scheme to classify premature bearing failures (see below), to help application engineers work with customers to find the root cause of the failures and, consequently, the most appropriate solution. However, some premature failures are still being ascribed to WECs and resolved on that basis (usually by replacing the failed bearing with an identical one). It is important to drill down into the problem and pinpoint the underlying reason for failure. The research has identified a series of underlying causes, allowing more accurate solutions to be found in each case. The project involved replicating the exact conditions seen in bearings that failed in the field and subjecting them to extensive laboratory tests (including optical and scanning electron microscopy, and ultrasound). 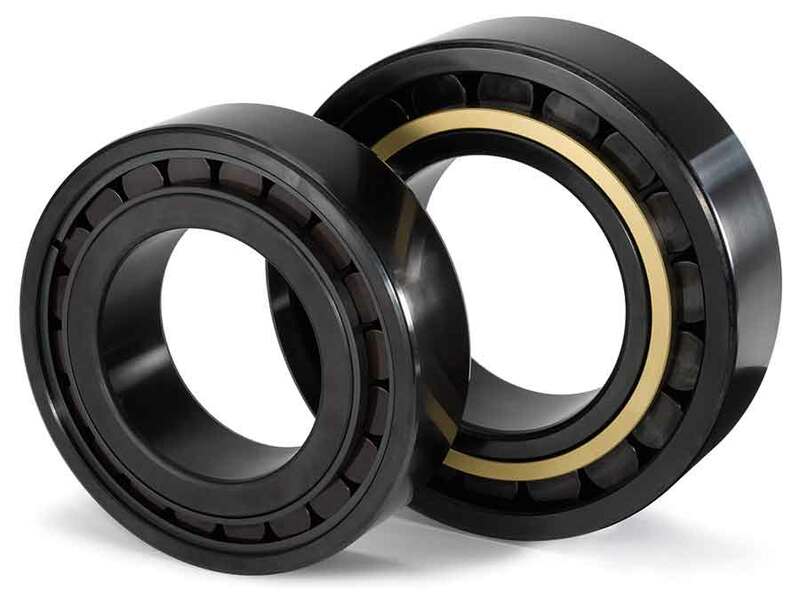 Making the bearing fail under controlled conditions, helped SKF to pinpoint exact failure mechanisms, allowing a more accurate and targeted solution to be found to each problem. For each root cause, the critical operating conditions were systematically reproduced on a test rig. In this way the particular conditions that caused WECs could be isolated and a link between the cracks and, for instance, structural stresses proven. The project has allowed the role of WECs to be clarified in relation to both classical bearing rolling contact fatigue and accelerated fatigue (accelerated spalling of bearings). In bearing rolling contact fatigue (where there is no premature failure), WECs are generally caused by cyclic stresses and loading. However, the more extensive appearance of WECs is seen in accelerated fatigue, which can be ascribed to higher stresses, lower material strength and/or a mixture of friction and lubrication effects (see below). WECs are cracks within the microstructure of bearing steel, so named because of the white appearance of the altered microstructure of a polished and etched steel sample. The affected areas incorporate ultrafine, nanocrystalline, carbide-free ferrite, or ferrite with a very fine distribution of carbide particles. White etching areas are formed by amorphisation (the conversion of a crystalline material into an amorphous one) due to friction at the crack faces during over-rolling. After recrystallisation, the amorphous phase becomes nano-crystalline ferrite as mentioned above. These areas appear white under an optical microscope, due to their low-etching response to the etchant. White etching areas around cracks are 10-50% harder than the surrounding (unaffected) microstructure. The more accurate diagnosis offered by SKF’s classification scheme helps to suggest a particular solution for bearings failures. For instance, if the failure was caused by lubrication problems or tribochemical effects, it might recommend moving to a black oxide-coated bearing. Other identified failure modes, could lead to recommended solutions ranging from high-strength stainless steel to hybrid bearings. Overall, the research has been well received, with only minor disagreement on some of the details. There is consensus on the main thrust of the argument, that white etching cracks come about through different failure modes. However, there is still more work to do: SKF has not yet replicated the conditions under which bearings fail due to electrical currents, for example, and so these experiments are ongoing in the company’s laboratories. The focus on failure modes has shifted towards developing better solutions through research and development. The goal is to find the best materials and heat treatment combinations to cope with each identified cause of failure. SKF has come up with a range of general recommendations, based on categorisation of the weakening drivers into ‘higher stress’ and ‘lower material strength’. The recommendations distinguish between those for the application itself, such as the bearing system or the design process, and the possibilities to reinforce bearing robustness. The best option to prevent premature failure will depend on the specific circumstances of the application. In wind turbine gearboxes, SKF black-oxide bearings (right) have meanwhile proven to be a robust solution to this challenging application. The increased robustness of black oxide is due to its unique combination of properties, which can counter the most severe operating conditions in the gearbox. Laboratory tests have shown a better performance in poor lubrication situations and high-slip conditions because the treatment delivers improved lubricant adhesion and enhanced smearing resistance, limiting the risks of fretting, micropitting and cracking. Resistant to corrosion and chemicals, the use of black oxide bearings reduces the effects of moisture and aggressive oil ingredients. It also helps improve friction behaviour and reduce wear, particularly under the mixed friction conditions in wind turbine gearboxes. 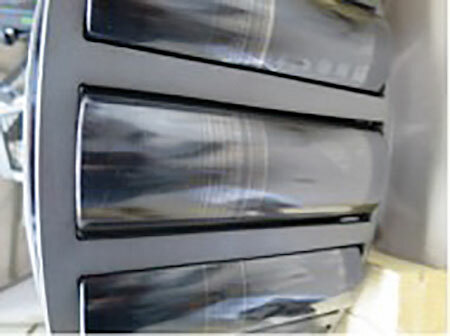 When running under proper lubrication conditions, field examples have shown that the black oxide layer looks nearly intact after several years of operation, even in the low-speed section (left). Each premature bearing failure is unique and there are many potential reasons for premature spalling. There is no single root cause, and each failure must be reviewed according to the operating conditions. 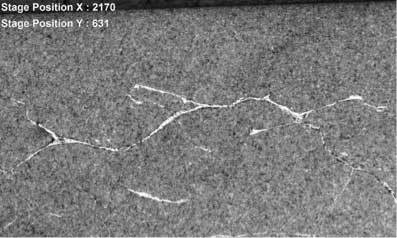 Understanding this and moving away from a diagnosis of white etching crack failure will help to ensure more accurate diagnosis of the problem, and a speedier, more effective solution.